FAU’s Center for Forensic Accounting is the only active university center with this title. It complements FAU’s two existing graduate programs in Forensic Accounting and in Digital Accounting Forensics and Data Analytics. The director of the Center is Dr. Michael Crain, forensic accounting expert and FAU faculty member since 2008. Dr. Crain has over 30 years of experience as a practicing Certified Public Accountant (CPA) and specializing in forensic accounting, economic damages, and business valuation. The Center co-produces a conference with the U.S. Department of Treasury. 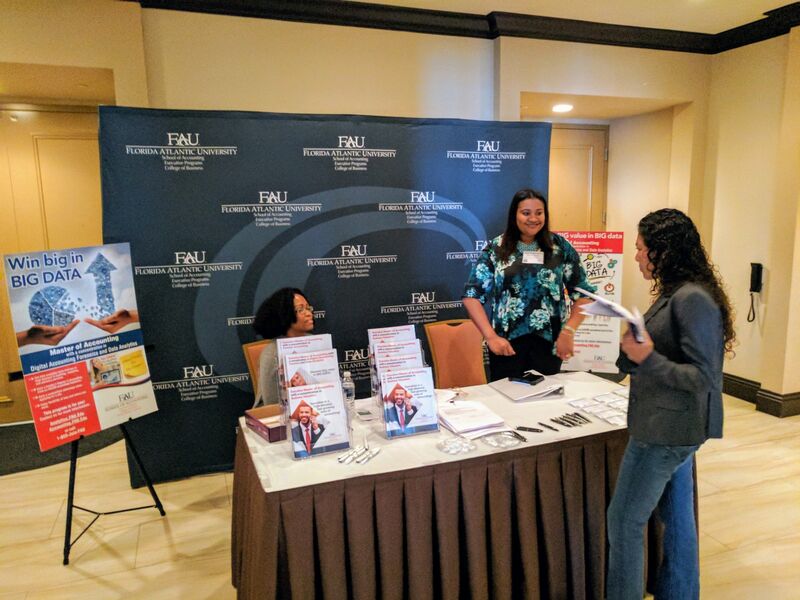 The U.S. Treasury and FAU’s Center for Forensic Accounting have held joint conferences in South Florida on forensic accounting, cyber investigations, and the Bank Secrecy Act. 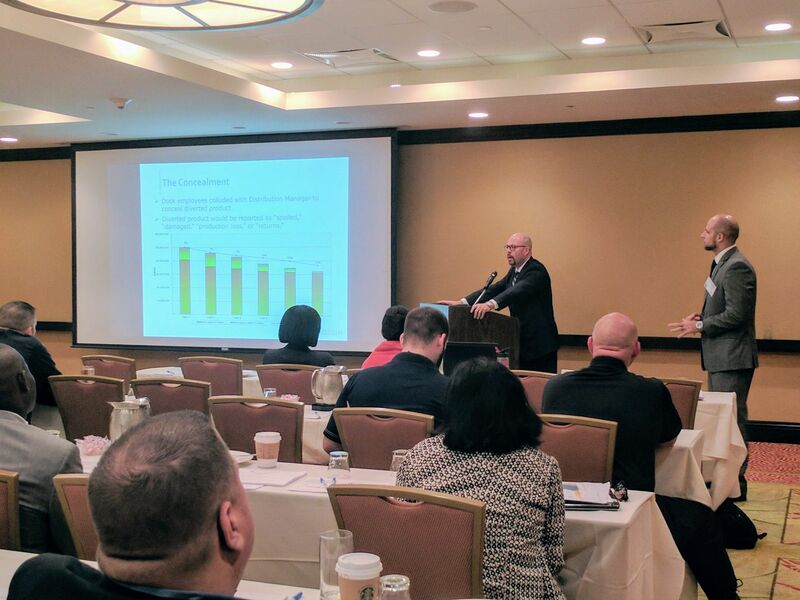 Conference participants have included law enforcement from the federal, state and local levels, bankers interested in regulatory compliance with federal laws of bank secrecy and detecting money laundering as well as forensic accountants and certified fraud examiners. At a recent conference, attendees included people from FBI, Secret Service. U.S. Treasury, Federal Reserve, U.S. Department of Agriculture, local police departments, Florida Attorney General’s Office, Rhode Island State Police, bank security teams, and forensic accountants. Even experts value the information shared in these conferences because “the body of knowledge on forensic accounting is so vast, and there is so much existing regulation that no one person or group has an understanding it all.” These conferences provide the opportunity for specialists of different governmental agencies and other groups to inform one another and learn new perspectives about the various resources that are used and available to be shared in future investigations. Bringing experts together who work on forensic accounting in both the criminal and the civil areas to discuss techniques, laws, and regulations was one aspect of the conference; the other was sharing case studies on forensic accounting. The Center is examining trends in accounting quality especially in terms of accounting manipulation. The main purpose of financial accounting is to provide information about a firm to external investors (equity investors and lenders) so they can make informed decisions such as buying shares of stock, making a loan, and so on. Lower quality accounting information may cause investors to make bad decisions leading to losses of money. Accounting quality matters. The quality of financial information prepared by businesses and used by investors varies. Even though U.S. Generally Accepted Accounting Principles (U.S. GAAP) provide guidance to firms in preparing financial information, the quality of the information varies over a continuum. Accounting quality is not binary of good or bad any more than the quality of a particular automobile is binary. From the perspective of users of financial information, obviously they prefer higher quality information than lower quality. Accounting quality can vary for multiple reasons. On one extreme, managers may intentionally mislead investors by issuing fraudulent financial statements (e.g., Enron and Healthsouth accounting frauds) that, for instance, makes a firm appear more healthy than reality. Such conduct may rise to the level of criminal. A more common reason for lower quality accounting information is managers manipulating their financial statements in some degree to increase earnings for the current time period or defer earnings to a later period. Such conduct may not rise to the level of criminality or, if it does, it may not be prosecuted. For information on forensic accounting, you may be interested in the text Essentials of Forensic Accounting co-authored by Center Director Michael Crain and published by American Institute of Certified Public Accountants. Co-authors include two other FAU faculty members. The text is used by universities to teach forensic accounting and by practicing forensic accountants.